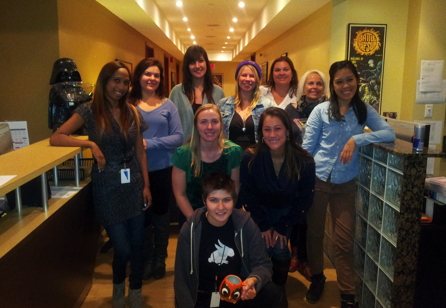 The entire team at Extreme Reach Mijo has been incredibly supportive of Pioneering Women from day one. A special thanks goes to Darren Stokes and Clinton Young who encouraged their staff to support and become involved with our initiative. Lead by Silvia Murday, all of the footage you see on our site and on our vimeo page has been expertly edited by a wonderful group of women that she assembled, all who work at Extreme Reach Mijo including Cait Powell, Roxanne Chow and Christine Remnant. A special shout out of thanks to Cait for coming in on her weekends to get these Minutes done for us, and to Andre Fournier and Olivia Shin who edited our official promotional reel! We appreciate all that you do for us very much!! Extreme Reach Mijo is the subject matter expert for all things Video, Audio, Print and Digital; from post production to delivery. As the Canadian leader in the production, adaptation and distribution of final creative assets to the Advertising, Entertainment and Broadcast industries, Extreme Reach Mijo delivers best-in-class services making our customers more effective and efficient.